In this post, I would like to share the simple tricks all of them very well known about this trick. 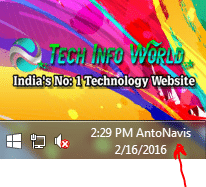 It’s one of the simple technology tricks to display your name after time in taskbar. Most of them don’t know about this trick. Ok, Now let’s come to this post. You must follow the below steps to do the trick on your own system. It will not make any problem on your system 100% guarantee. 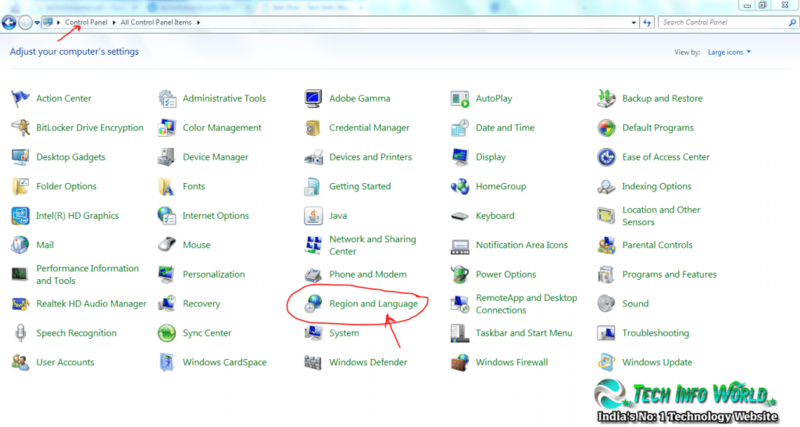 Step 1: Click Windows button to start, then click on the control panel. Step 3: In the popup window click on the Additional Settings, If you click means another popup window will be opened, Here click the time menu in the top navigation. Below i have attached the screenshot. Step 4: In the second popup menu, there is a section for time formats, go to the section to see the AM symbol as well as PM symbol. If You like to do this trick means you must add the Name after the symbol of AM and PM. Step 5: Check the below image to see the final trick result on my own system. 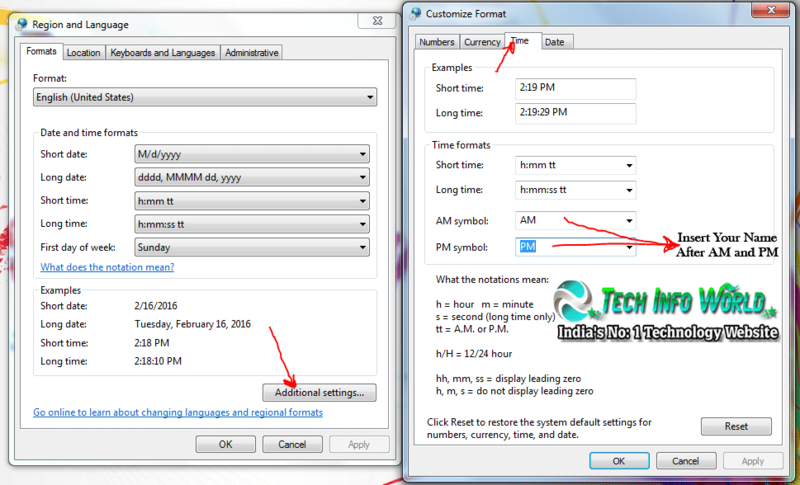 I hope all of them understand the simple steps to do this trick on your own system, its the simplest method to show the name on the taskbar. Most of them like to see the name in the taskbar to make them happy. In the future, we will share the new latest technology tips, tricks and also useful tutorials.. Keep Stay Tuned To Learn More Wonderful Technology.. Kindly Share the post to spread the technology in the world.